Hello everyone, dear fans of the game Spectrubes! Recently, many copies of the game have been sold, so I appreciate those who bought the game. Thank you! I think it's time to reach an even larger audience of players. 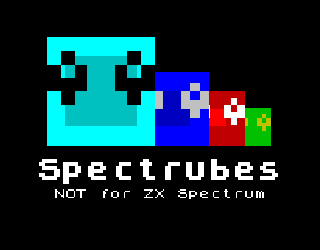 Therefore, now Spectrubes is available is not only on Windows, MacOS and Linux, but also on Xbox One and Wii U! Now you can buy for 1.99$ the game at the above consoles. Xbox One version has the same functionality except for achievements and leaderboards. Unfortunately, Wii U version is also lost undo function and works not stable. You can buy the console version on Xbox One right now in Windows Store, in Xbox Creators Collection section. Wii U version is only available as Homebrew, it can be found on this page.